Concern was rightly raised over the failure of the Supervisor of Elections in St Kitts-Nevis, Wingrove George, to declare the results of the February 16 general elections until 2 days afterwards. There were only 30,000 voters in the elections. Even if George had the votes counted twice for accuracy, as he claimed, that procedure should have produced a final count by midnight on the Election Day. What remains suspicious in the minds of many is why he stopped counting and refused to publish a result. Perry Christie, Keith Mitchell and Ralph Gonsalves, the Prime Ministers of the Bahamas, Grenada and St Vincent and the Grenadines respectively, were early in their public remarks of criticism. So too was Trinidad and Tobago’s Prime Minister, Kamla Persad-Bissessar whose public statement summed-up what was at risk for the region. She said: “I am also concerned that the region's reputation for democracy and for free and fair elections will be under threat as long as this issue in St Kitts and Nevis remains unresolved”. This was a notable example of regional leadership asserting its collective adherence to the democratic values of the Caribbean Community (CARICOM). But, it would be wrong to focus attention only on Wingrove George and what may amount to a serious dereliction of his duty and obligations as Supervisor of Elections. To do so would be to miss the wood for the trees. The failure was symptomatic of a much larger problem related to the electoral process and adherence to democratic values beyond St Kitts-Nevis. The problem also exists in varying degrees in a few other countries. 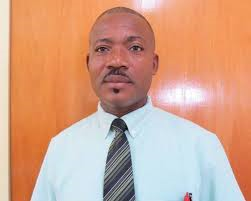 The decision of the government of Dr Denzil Douglas not to face a vote of ‘no confidence’ from the opposition in parliament, and the various measures he adopted to avoid it, gravely undermined democracy in St Kitts-Nevis. In the process, respect for the rule of law was weakened and government loyalists in public institutions were encouraged to believe that they could ignore their duty to the public in favour of their links to the ruling political party. In the words of Antiguan commentator, Colin Sampson, “the episode cast a very bad light on democratic values in the region and it underscores the archaic, decrepit and corrupted state of the St Kitts & Nevis electoral system”. The latter point became obvious when in January – just one month before the general elections – the Electoral [Constituency] Boundaries Commission – changed the elections boundaries without consulting the opposition political parties and in a manner that would have disadvantaged them. It took an appeal to the Judicial Committee of the Privy Council in London just days before to cause the February 16 elections to be conducted on the existing boundaries. While that decision was later decried by Dr Douglas who said: “We in Labour feel there is a real...gulf of misunderstanding between what has gone on in a court room in London and the mood of the ordinary man and woman on the streets here in St Kitts and Nevis”, it is arguable that the Caribbean Court of Justice may not have come to any different decision were it the final appellate court for the country. In the event, what is revealed by these recent events in St Kitts-Nevis (as previously in Antigua and Barbuda when the former government illegally dismissed the Chairman and members of the Electoral Commission and attempted to change the election boundaries) is that the organisation and administration of electoral processes in a few Caribbean countries require review. It is a review that might be best carried out by all CARICOM countries collectively so as to avoid finger-pointing at any one country and the party political advantage that might be sought from it. What is at stake is the credibility and legitimacy of the electoral process throughout the Region and therefore the standing of the Caribbean itself in the eyes of foreign investors, international financial institutions, capital markets and the global community. The International Institute for Democracy and Electoral Assistance (IDEA) – of which Barbados is a founding member - drawing on its long and wide experience of elections in almost every part of the world, identifies seven guiding principles for the legitimacy and credibility of electoral processes. These are: independence, impartiality, integrity, transparency, efficiency, professionalism and service-mindedness. Few would quarrel with those principles as they are stated. The problem arises not from the form but the substance. As an example, almost all of the elections management bodies in the 15-nation CARICOM group are declared to be ‘independent’. Indeed, many are statutory bodies and their independence is prescribed in law. However, there are two kinds of ‘independence”. The formal kind is structural independence from the government as set-out by law. The second is ‘fearless independence’ – the capacity of the managers of the electoral process to resist pressure from political parties so that they do not bend to partisan influences. As was obvious in the recent St Kitts-Nevis example, ‘fearless independence’ was sacrificed for partisan loyalty. Strong leadership is required for the persons who head electoral bodies, but this is a notion to which all political parties have to be committed and must subscribe. Like independence, ‘impartiality’ also cannot be legislated; it is a state of mind much more than a statement in law. Nonetheless, both independence and impartiality can be encouraged and enhanced by a constitutional and legal framework that is respected by all political parties, including adequate funding that permits the institutions to function properly. Arising from all this is the clear lesson that it is time that CARICOM countries collectively consider strengthening their institutions for electoral management. This is not a consideration for Caribbean countries only. Other regions of the world have a similar need. That is why in 2011 the Commonwealth Eminent Persons Group recommended in its report: A Commonwealth of the People: Time for Urgent Reform that an Academy for Electoral Training be established by the 53-nation Commonwealth group “to which governments, election commissions, civil society and other relevant organisations could send people to be trained in best practices”. Given its history and traditions of good governance, I had proposed Barbados for the location of the Academy. It is a proposal that could usefully be revisited for the benefit of the Caribbean and the Commonwealth.